Although Taipei is full of great tourist destinations, sometimes all you want is an escape away from the crowds where you can relax without having to pay an arm and a leg to do so. Whether you're looking for a place to think or a fun activity to do alone, these tips will satisfy all your introverted needs while keeping your budget on track. ●Get a quick hair wash or scalp massage. I'm not talking about dropping big bucks at the spa, I'm talking about the amazingly cheap and quick pampering you can get at almost any hair salon in Taipei. Most of us only think of using hair salons for our regular hair needs, but salons in Taipei offer so much more than that. They break down services and prices, so you can pop in for a 15 minute wash and scalp massage, or stay for a full two hour pamper session if you need some extra time to decompress. Best part about it: it's cheap! One thing to remember though is try to find a more local salon because prices will be cheaper (NT$200 for two hours of bliss). ●Re-center yourself in a local temple. One unique aspect about Taipei is that you can't walk a block in the city without running into one of its magnificent temples. Whether its Daoism, Buddhism, or Confucianism, these temples house incredible artwork that creates an atmosphere of quiet reverence. 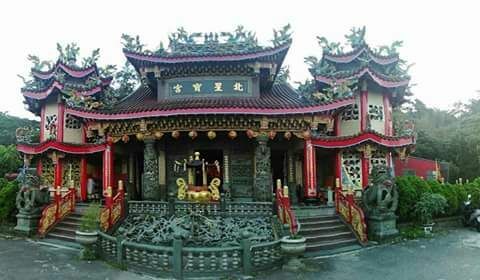 Some of these temples, however, can be quite crowded, so if you're looking for a more secluded spiritual experience, try Dalongdong Baoan Temple near Yuanshan or Zhinan Temple in Muzha and allow yourself to get lost in the ancient art of meditation and prayer. One reason you probably need some alone time is because you've been crammed into some form of public transportation for too long, and you need a moment to catch your breath. Instead of taking a taxi or the MRT, try the Youbike! Or if you have half an hour to spare, jump on one and go an adventure. This may seem simple, but just getting away from the crowds and taking control of your transportation will do wonders for your mood. You can bike down Dunhua Rd when you have some time because of its wide sidewalks and beautiful trees. If you're close to a park (especially one by the river), take a quick trip and just focus on you. You'll not only recharge your batteries but also get some exercise in the process. ●Escape to a park (any of them). Speaking of parks, every district in Taipei has at least one clear area with a good amount of green. Instead of eating lunch or dinner at your desk or tiny apartment, take your food and blanket and find your own little oasis amongst the chaos of city life. You can even enjoy the added bonus of watching or learning Tai Chi in almost any major park like Daan Park or Dajia River Park. If the weather isn't cooperating with your me-time schedule, try a quick visit to any of Taipei's museums. Taipei is home to some of Asia's most famous museums, each boasting of a rich array of artifacts and art that could help anyone find a little perspective. Going to a cafe to work on a project or relax with a cup of coffee may seem like common sense, but cafes here in Taipei are unlike any other in the world. Gone are the days of monopolized coffee culture, now on almost every corner one can find a unique, hole in the wall cafe with its own cool vibes and dark corners. 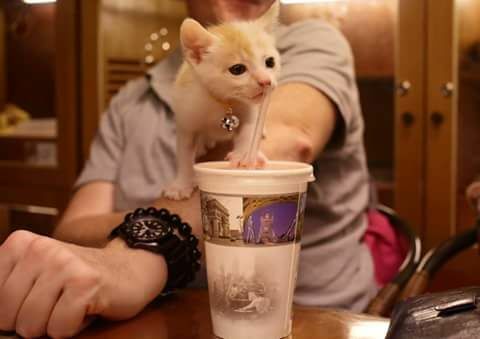 Try a cat cafe where you can chill with a feline friend, or take a swing at creating your own art at an art cafe for some to explore your hidden talents. It's not just about getting a great cup of coffee, but experiencing a new way to decompress from your day. Check out the plethora of blogs on google for more cafe info! ●Go to a night market (day or night!) for facial threading or a quick massage. If you don't mind facing a few more people on your journey to some alone time, check out major night market locations (Shida, Shilin, Raohe) for an incredibly cheap pampering session. Whether it's facial threading, a foot massage, or a whole body massage, your worries will melt away and you'll find yourself ready to face the crowds after a 30 minute session. ●Take a trip to Maokong (on weekdays). Maokong, the quaint little area above the Taipei Zoo, may seem like a tourist trap, but during the week it's the perfect escape for someone looking to get out of Taipei. 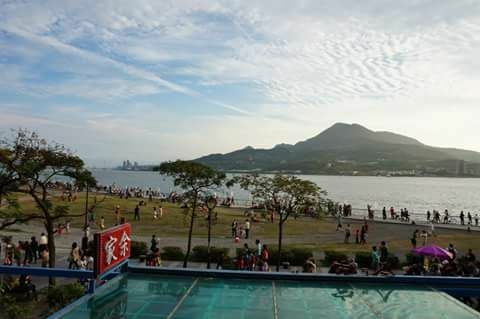 After a short gondola ride with beautiful views of Taipei and surrounding mountains, you will arrive in Maokong where you can find some of Taiwan's greatest teas. 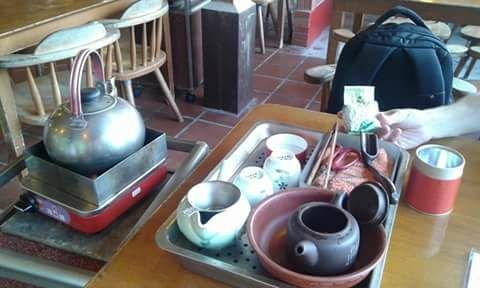 tea on the mountain starting at NT$150 per pot. ●Hide out in Taipei's 24hr bookstore, Eslite on Dunhua Rd. It's open seven days a week, and although it gets crowded on weekends, there's a far smaller gathering during the day and later at night during the week. 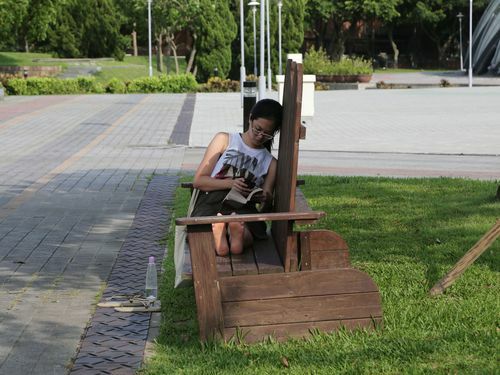 Bookstores in Taipei are not only a place to buy books, but to read them as well! So if you find yourself awake at 2 a.m. with nothing to do, head over to Eslite, pull up a chair or camp out in one of the aisles and escape to another world through your new favorite book. If you have a little more time, hike the "four beasts" (四獸山) around the Xinyi District of Taipei. The Leopard, Lion, Elephant and Tiger trails surrounding Taipei make the perfect little day hike to take by yourself when you're dying for a breath of fresh air. Each hike is well lit, marked, and paved and each can be done in an hour or so if you like (some extend further for more challenging routes). 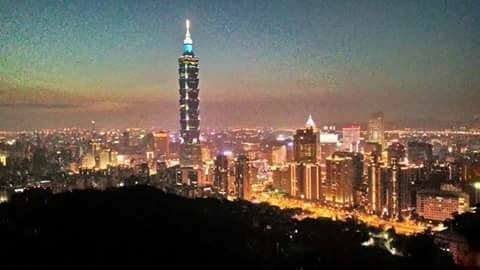 These hikes are popular at night because of the incredible view of the city but be aware that the Elephant Hike will likely be the most crowded. If you do decide to go at night to clear your head, watch out for snakes and spiders that could potentially be dangerous.